North Staffs Ski Club was established over 40 years ago and owns all of the equipment and facilities at the centre. The club is operated by skiers for skiers. The staff and instructors are all volunteer members who give up their time in order to operate the centre for the benefit of all other club members. 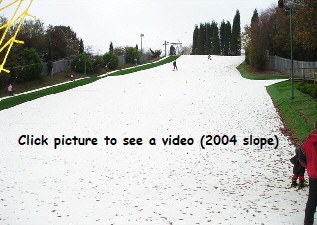 In 2004 we received a lottery grant which, when added to our savings, enabled us to re-grade the slope and fit a new carpet type ski surface (Playgrass) which is safer and more like snow (middle left). 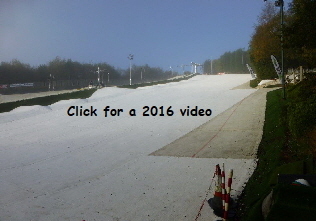 The new slope proved to be very successful and the club membership grew significantly. For the following 10 years we saved carefully until, together with some loan and leasing finance from our bankers (NatWest), we had enough to make a further investment in facilities. We widened the existing slope by adding some “waves” or “rollers”, replaced the drag lift with a new Tatra lift and constructed a second, purpose-built slope for slopestyle and the future. 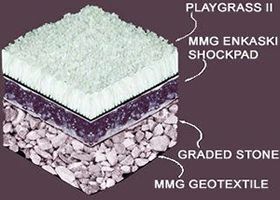 Again we used Playgrass: most of the 10 year-old carpet had plenty of wear left in it so it was used on the new slope and the main slope received the latest “mark 2” carpet. 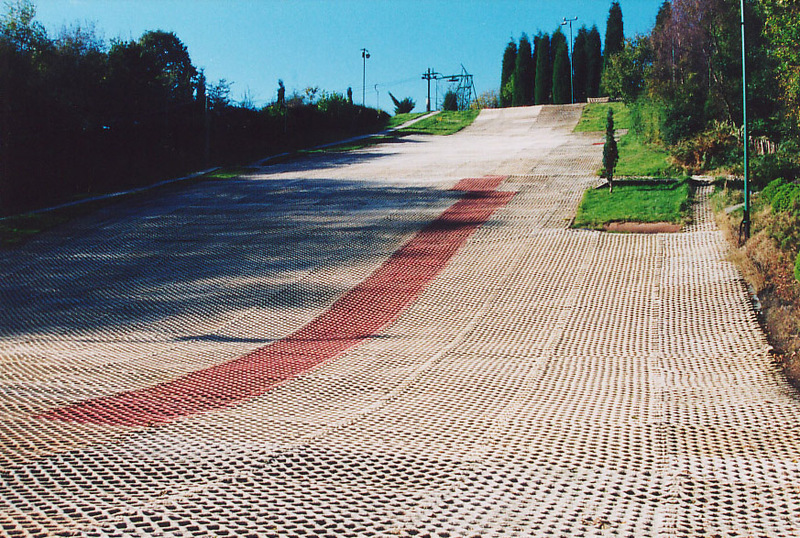 The key “run-ins” on the new slope also had new carpet. (top left). The club operates the slope on a non profit making basis with all the revenue being used to further improve the slope, facilities and equipment. Our aim is promote the sport of skiing and provide affordable skiing at the best possible prices, believed to be the lowest in the country. The slopes are 85 metres long and serviced by a button type ski lift with an uplift rate of approximately 500 skiers per hour. The slope is located in the beautiful Bathpool Park, which received Green Flag status in 2013. Click for photos. We have received these two very generous gifts from Mike Keating of MK Enterprises. Thank you, Mike. There is a ski lodge with tea shop and a superb family atmosphere.